The Brazilian national men’s football team, popularly known as the Seleção, played its first match in 1914, with an improvised team comprising the best players of Rio de Janeiro and São Paulo, which played against British team Exeter City FC, that was touring the country at the time. The Brazilian team won the match by two goals to nil, and thus kicked off its glorious history. The Brazilian Seleção has won the FIFA World Cup unbeaten on five occasions, plus a string of other championships and awards. The first important competition won by the Brazilian national team was the America Cup of 1919 (then known as the South American Championship). Since then, Brazil has won this title on eight occasions and been runner-up 11 times. 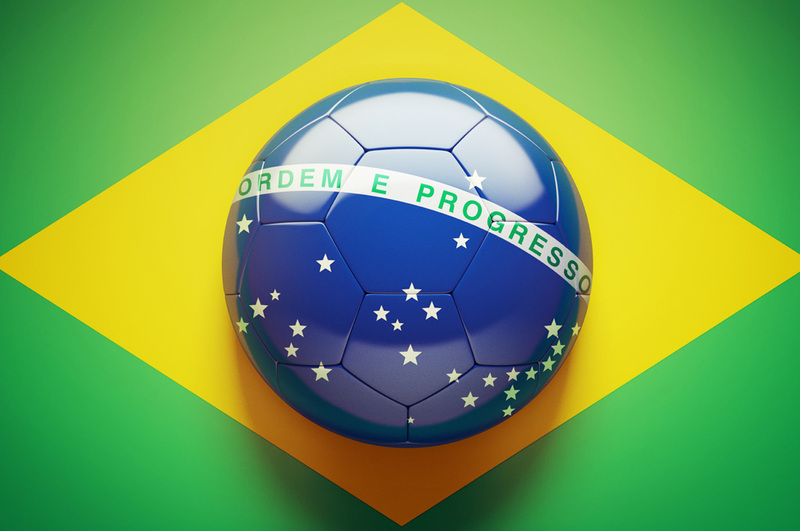 In the FIFA World Cup™, Brazil has participated ever since the first edition back in 1930, and holds the distinction of being the only country in the world to have qualified for every edition of the World Cup Finals. The first World Cup win came in 1958, with Brazil beating hosts Sweden in the final. The Brazilian team also managed to win the World Cup in 1962, 1970, and 1994. The Seleção’s last World Cup triumph coming in 2002 with a final victory against Germany and 2002, making Brazil the only five-time World Cup winner to date. The yellow-shirted team also stands out in the FIFA Confederations Cup™, with five titles in all, making it the greatest winner of this competition. However, this team, that has achieved so much glory in football, was still missing one of the main conquests: the Olympics, where the teams are largely restricted to players under 23 years old. Finally Brazil won its first ever Olympic gold medal in football at the 2016 Olympic Games in Brazil, with the final being at the great and iconic Maracanã. Before that, the Olympic football team from Brazil, mostly comprising under-23s, came close on three occasions, walking away with a silver medal in 1984, 1988 and 2012. There is not much room for discussion when we talk about the best Brazilian Seleção player of all time. Pelé is a unanimous reply. This player, who shot to fame when he played for the star-studded Santos FC side of the early 1960s, is now considered the best football player of all time, and was selected as the Player of the Twentieth Century by FIFA in 2000. Other Brazilian players who have stood out include Mané Garrincha, the star player of the 1958 and 1962 World Cups and who was famous for his humiliating dribbles; Ronaldinho (Ronaldo Nazário) who also shone on the international football stage in teams such as Real Madrid CF and AC Milan; and Ronaldinho Gaúcho, one of the players responsible for the Brazilian triumph at the 2002 FIFA World Cup™ and later one of the star players at FC Barcelona between 2004 and 2006. Recently the most important name on the Brazilian national team is Neymar, who currently plays for FC Barcelona. At the age of 24, he is considered one of the most skilled players of all time, and in 2015 he was a finalist of the Ballon d’Or (Golden Ball) awarded annually by FIFA to the best player in the world. The recruitment of players for the national team depends on the strategy of the manager, who can prioritise a more attacking team or give preference to a more defensive approach, with intense marking. Once the trail to be followed has been established, the manager, with the help of his management team, calls up the best players in the country, whether playing in Brazil or in foreign leagues. The call-ups are made for each championship and club teams are required to let their players go. For friendly matches, the release period is 48 hours before the match. In the case of qualifying matches, then the players must be released by their respective clubs 14 days before the first match of the competition, so that there is sufficient time for training and also to mix with the other players in the Seleção.